I find it strange that if you look hard enough you can see "Math" was erased. So THAT'S why you have failing grades! Notice the grey haze hanging over the room? Is this why I don't remember grade school? 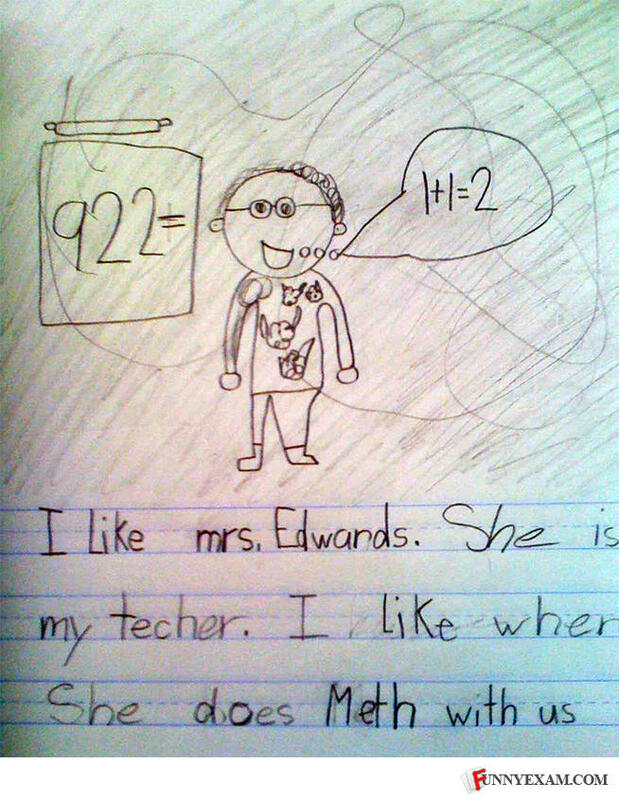 Mrs Edwards eyes aren't looking at you, but for you. what is that on her shirt, and why is the room smoking? is this teacher really on meth and set the whole school to burn? When I went to this page the captchya said "Click your answer to reveal code. Do you currently smoke?" I clicked 'yes' for the pic.